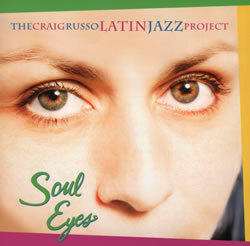 In the liner notes to Soul Eyes, Craig Russo is only vaguely apologetic for being a non-latino who plays Latin Jazz. While this explains who his musicians are and where they play, he shouldn’t have to mention it, as far as I’m concerned, and doesn’t need to justify playing the music at all. 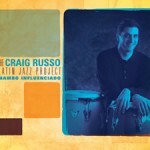 Latin Jazz is a synthesis of musical elements from different, but related, cultures––generally those of Cuba, Puerto Rico, or Brazil, and the United States. Most commonly, Latin Jazz melds Latino rhythms and percussion instruments with North American chords, scales, and song forms. It can be viewed looking North or looking South. An American can take a Jazz tune and restructure it into a Cha-cha, a Cuban can take a Latin tune and reharmonize it with Jazz chords, Brazilians often play Jazz standards with a Samba feel, and Americans regularly dip into the vast Bossa Nova repertoire. All are legitimate ways to approach Latin Jazz and everyone should be made to feel welcome because we’ve all made a contribution. It’s as valid for Russo to introduce Latin rhythm into standard Jazz (if he does it knowledgeably, which he does) as it is for a Cuban Sax player to shed Coltrane licks and then use them in a Mambo. 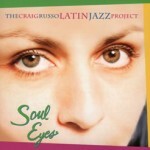 The strength of Soul Eyes comes from bringing Russo’s Latin percussion experience to the rhythm section then blending that with the improvising expertise of his horn players, most notably Chip McNeill, Director of Jazz Studies at the University of Illinois. 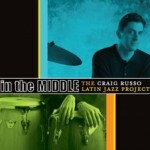 This CD definitely represents the gringos looking South, and because of that it has a strong, native mastery of the Jazz idiom, but his horn players also seem energized by the Latin groove. There’s a rhythmic solidarity here, a sense of structure, that many Jazz drummers would do well to study since the concepts of solid time, manifest rhythm, and structured harmony have been lost to some (but not all) in the American Jazz scene. 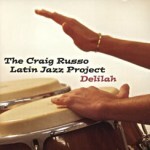 It’s all about the groove, and Russo hasn’t forgotten that.